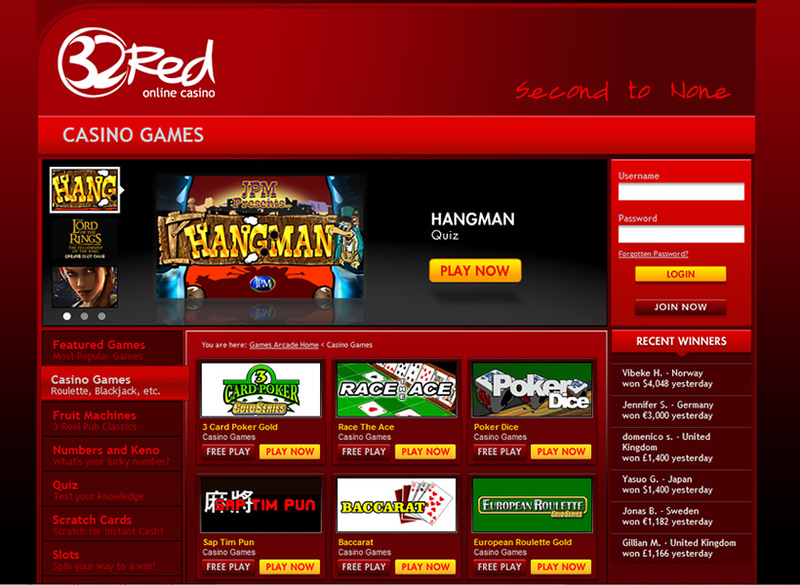 32Red Casino is one of the top leading online casinos that have become a big name in the online gaming industry. They have been entertaining players since 2002 and continues to be a player favourite to this day. They are proud holders of prestigious awards that include Casino of the Decade just to give you an idea of how they have been recognized throughout their years in the industry. Owned by 32Red Casino PLC they are licensed and regulated by the Gibraltar Government. Tested regularly for fairness and randomness players can rest assure that they are getting a fair game each and every time they play any of the games. Utilizing the Microgaming suite, all of the latest games are offered. Multiple languages and currencies are supported to accommodate all players. USA players are not accepted at this time. The promotions and bonuses offered at 32Red are impressive and quite generous. Why not take advantage of the free £32 with every £20 that is deposited up to £160. Club Rouge is the VIP programme offered at 32Red. Players receive free casino bonuses, gifts, and invites to special events just for being a preferred VIP player. Earn Red Rubies as you play throughout the casino. When enough Rubies have been collected you can exchange them for casino credits. Every month two VIP Club Rouge members are chosen to receive some champagne and other luxury gifts. Red Letter Day and Ruby Tuesdays are two more important days at 32Red. Earn double and triple points throughout the day every Tuesday and 1,000 chips are given away at random on Red Letter Day. There is always something going on here, so it definitely pays to play. Stay updated on the promotions page for the latest offerings. The Microgaming platform hosts over 325 games that range from slots, table games to card games, specialty games and progressive games. Whatever your preference, 32Red offers something for all players. 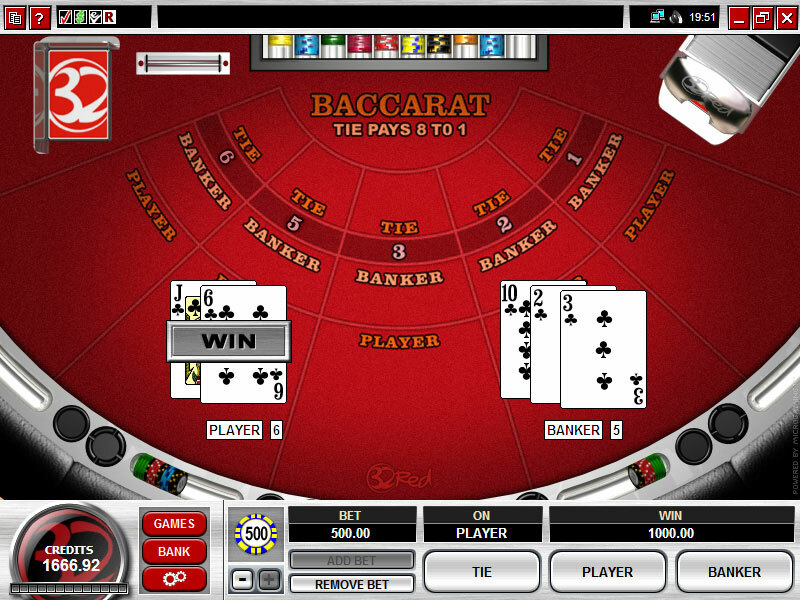 The games can be accessed by downloading the software or playing the flash casino. The flash casino is perfect for MAC users and other players that want to play the games without downloading the software. There is also a mobile casino app allowing players to enjoy their favourite games on the go. Each and every game has unique features that provide an unrivalled gaming experience that won’t be found anywhere else. The cashier is user-friendly and holds many trusted banking options. 32Red strives to provide their players with reliable and hassle free banking methods. Credit Cards, Click&Buy, MoneyBookers, Eco Card, Click2Pay and Wire Transfer are just a few of the top branded names found in the cashier. 32Red is also one of the few casinos that accept Paypal as a deposit method. If you are looking for fast payouts, 32Red offers it. They have the fastest payout times in the industry. All cashout requests are processed within 36 hours allowing players to receive their winnings in no time. Most all deposit options can be used to receive all winnings with a few restrictions. The customer support team is exceptional. They are there to assist 24/7 via live help, telephone, email and even by fax. Whichever contact method you prefer, you will receive a response in a timely manner. Start your week in style in the Casino at Bet365!